In physics we are learning about rotational kinetic energy. 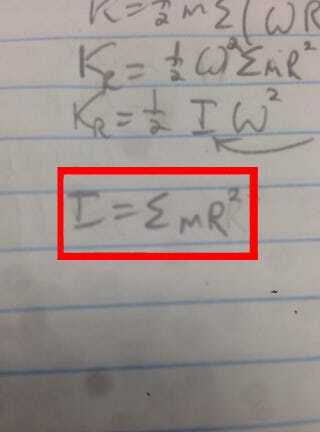 We also learned this formula, which gives the moment of inertia. And thus, a revelation, for "Internet= (Toyota) MR2." You could also read it as "Injurious= MR2." I may be very tired and not making sense.